In 2013 following the death of Margaret Thatcher, the UK saw record sales of ‘Ding Dong! The Witch is Dead’. The song, which is sung by Judy Garland and features in the soundtrack of the Wizard of Oz, skyrocketed into the charts after an online campaign by political opponents of the former Prime Minister. Although ‘Ding Dong! The Witch is Dead’ will go down in history as one of the most inappropriate songs ever played in response for a death, there are plenty of other songs that should be avoided at funerals. Those arranging cremations should avoid ‘Burn’ by The Cure, ‘Light My Fire’ by The Doors, ‘Ring of Fire’ by Johnny Cash, ‘Burning Down the House’ by Talking Heads and The Trammps’ ‘Disco Inferno’. Burn, baby, burn. If the deceased is being buried, on the other hand, Pink Floyd’s ‘Waiting for the Worms’ and ‘Going Underground’ by The Jam are off-limits. Westlife’s ‘You Raise Me Up’ is also rather tasteless given the circumstances. Also avoid ‘Push Th’ Little Daisies’ by Ween. Any song that implies you are pleased about the person’s passing, such as Ray Charles’ ‘Hit the Road, Jack’, ‘Somebody that I Used to Know’ by Gotye and ‘Since U Been Gone’ by Kelly Clarkson, should be avoided. ‘Dead’ and ‘The End’ by My Chemical Romance are obvious no-nos. Of course generic songs about happiness, such as ‘Don’t Worry Be Happy’ by Bobby McFerrin or ‘Happy’ by Pharrell Williams, are inappropriate in the context of a funeral service. On the other hand, mournful ballads such as ‘Goodbye My Lover’ or ‘You’re Beautiful’ by James Blunt should be avoided at formal funerals if you don’t want guests to lose their composure. Even if the deceased was a staunch atheist, it’s best to give any song that mentions Hell (or indeed Satan) a miss. AC/DC are persistent offenders with ‘Hells Bells’, ‘Hell Ain’t a Bad Place to Be’ and ‘Highway to Hell’. Likewise, ‘Sympathy for the Devil’ by The Rolling Stones and ‘(Don’t Fear) the Reaper’ by Blue Oyster Cult are also fairly tasteless choices for a funeral. Steer clear of songs about drugs. Lou Reed’s ‘Perfect Day’ is inexplicably a common funeral tune in the UK, despite the fact that its subject is heroin addiction. If you’re not absolutely sure that a song is about missing a person, as opposed to withdrawal, search for the lyrics to make sure. Monty Python’s ‘Always Look on the Bright Side of Life’ is the most popular song to be played at UK funerals. It’s played more than any existing funeral hymn. Queen’s ‘Another One Bites the Dust’ is another popular choice, suggesting that gallows humour is a popular factor in deciding on a funeral song. If your loved one had a black sense of humour and requested an amusingly inappropriate song in their will, you need not play it at the service itself. 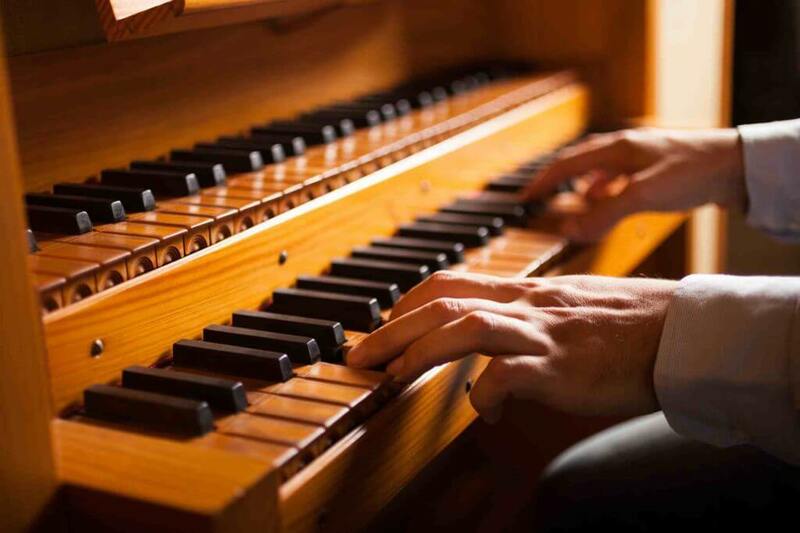 If you have planned a sombre funeral or the religious ceremony will not allow a humorous song to be played as per your loved one’s request, you can fulfil their wishes by playing it at the reception instead. Ultimately, choose a song that reflects the personality of the deceased. If they were playful and irreverent in life, there is no reason why you should not use the choice of song at their funeral to reflect that. What is the average cost of a funeral (UK)? Who pays for a funeral if there is no money?